As you already know, we have an incredible 23 boats confirmed as racing for the whole of Pyefleet Week which is fantastic. However, on the opening day, Sunday 10 August, we have the special President’s Cup race which is a one off race in which we aim to get as many boats on the water as we possibly can (it does also count towards the week’s points). 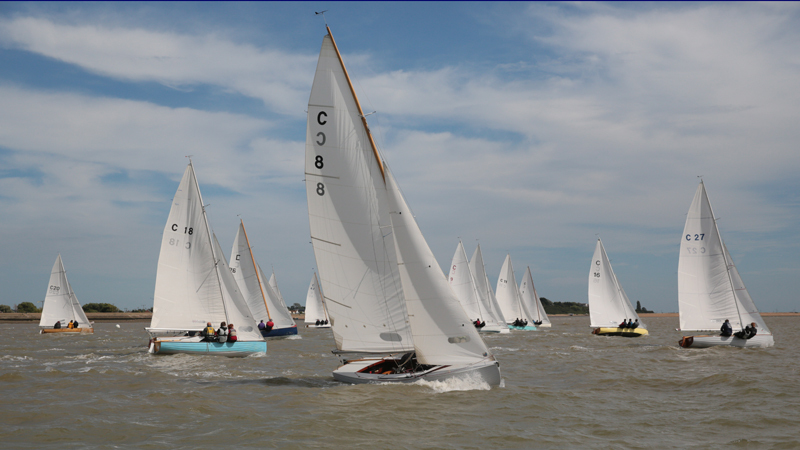 With 23 boats already confirmed as racing Pyefleet Week our aim this year is to have 25 boats out for the President’s Race – which will be a BOD World Record! So even if you can’t do the whole of Pyefleet Week do please come and join us for this very special race. The start will be just after 14.30 (currently programmed for 14.36 but subject to confirmation once the classes are confirmed by the BSC – please check the Pyefleet Week official notice board on the day). If you need any help to get your boat out and ready for the race just give Fi a shout on fiona.brown@fionabrown.com or 07711 718470 and she will do what she can to find you helpers or crew. It is incredibly exciting to see our wonderful class so active and vibrant. There’s a great mix of camaraderie and competition, the boats look absolutely stunning and we’re bucking the trend of falling class numbers. So come on down and be part of the fun!